Please note: All visitors to DHR’s headquarters and offices including the Archives in Richmond are required to provide a photo identity card (e.g. driver’s license, state employee badge, etc.) at the main desk, where all visitors are required to sign in. Thanks for your cooperation with this policy. 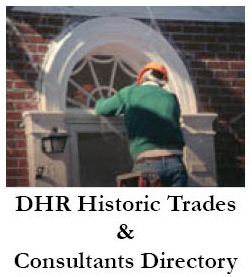 DHR’s cultural resource database, VCRIS, contains information on more than 200,000 sites in Virginia. The system is used for documenting and mapping sites. Full access to it is available for a fee to qualified professionals, and limited access is available for free to the public. Documentation about Virginia’s historic resources can be described as “belowground,” referring to archaeological sites, or “aboveground,” meaning any standing building or structure. 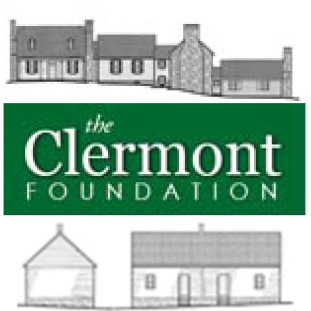 Many historic resources in Virginia are a combination of both — for example, an existing plantation house built near or on an archaeological site of prior Native American occupation or nearby to belowground sites affiliated with African Americans. Organized by city and county, our collection of survey records and other documentation is contained in files and reports and on maps. Most files contain evaluations, photographs, and maps of historic resources. Drawings, correspondence, newspaper clippings, and published and unpublished materials are also available in many files. Files for sites listed on the Virginia Landmarks Register or the National Register of Historic Places contain copies of their respective nomination forms, photographs, and other items. Most of these register nominations are available and searchable at the Historic Registers Listings on this website. 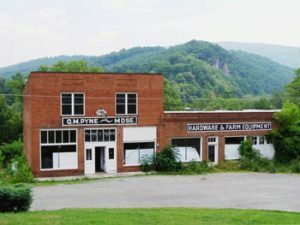 Q. M. Pyne Store in Giles Co. was listed in the Virginia Landmarks Register in 2009. The Archives file for the store building contains a nomination form, photographs, and other related documents about the structure. Much of the documentation in the Archives may be photocopied for a small fee. The Archives also has an excellent collection of photographic negatives and slides (dating mostly between mid-1960s through early 1990s). DHR can reproduce photographs for a nominal fee. A search service is available for organizations seeking information on the presence of previously identified cultural resources within a project area (see Environmental Review for more information). See also the Special Collections on this website for a selection of downloadable survey and archaeological reports and publications. The department’s research library contains a specialized selection of books, and theses and dissertations associated with Virginia history, county histories, historic preservation, architecture, and archaeology. Professional periodicals on history, archaeology, and architecture are also housed here, as are copies of historic maps. DHR Archives materials do not circulate. All of these resources are available for the public to view free of charge in the Archives reading room. For more information, please contact Quatro Hubbard, Archivist, Phone: (804) 482-6102; Fax: (804) 367-2391. The Archives hours are 9:00 – 5:00, Tuesday through Thursday; it is closed Friday through Monday and on state holidays. No appointment is necessary to visit but visitors are required to present a photo ID and sign in at the reception desk.